STYL was formed in 1997 in Abuja, Nigeria and was made up of four members, Shifi Emoefe, Tunde Akinsanmi, Yemi Akinwonmi, and Lanre Faneyi, the name STYL being an abbreviation of the founders first names. In 1998 Lanre Faneyi died, and Zeal Onyecheme joined the group. This led to the group being renamed Styl-Plus, the “Plus” denoting the new addition to the group. In 2002 Yemi Akinwonmi left the group and the musical band became a trio without adding a new member. 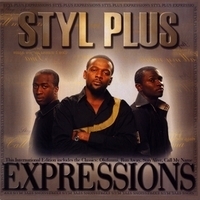 Starting 2003, the group had its own record label STYL-PLUS. The members of the group are all graduates of Federal University of Technology, Akure. Zeal who didn’t pursue his music career until 2005 due to the sudden success of the group is also a graduate of FUTA. All were bachelors in their mid-twenties at the time. Based in Abuja, Nigeria, Styl-Plus had been dubbed Africa’s “Boys II Men” due to their ability to deliver heartfelt emotional ballads. The successful group of talented artists with their vocal harmonies, catchy tunes, melodies, R&B style, combined with meaningful and storytelling lyrics are a union between English and their native tongue Yoruba, spoken in Nigeria. Styl-plus’s first two albums include tracks like ‘Olufunmi’, ‘Imagine That’, ‘Run Away’, ‘Call My Name’, ‘Stay Alive’ and ‘Four Years’.